Did you know that transportation-related injuries and fatalities top the list of occupational hazards in the U.S? That’s right. They cause so many losses and claim so many lives that 2,083 incidents of work transportation incidents took place in 2016 alone. About 3.7 million workers suffer from injuries every year. It’s for this reason that workers compensation lawsuit rates remain high. This is also the reason why North Carolina implements rigorous laws when it comes to worker safety. If you or anyone you know got into a work-related accident, know that it’s your every right to receive compensation. But the laws are complex. As such, we’ve come up with this workers compensation claim and lawsuit guide you can use. The Tar Heel State has a three-employee rule when it comes to workers compensation. This law requires any organization with three or more regular employees to carry insurance. There are some exceptions, though. If your work puts you or any other employee at risk of radiation exposure, a one-employee rule is in place. In other words, it doesn’t matter if you’re the only employee. As long as there’s a possibility of radiation exposure, your employer should carry workers’ compensation. Also, take note that the term ’employee’ in NC refers to anyone with employment. That includes part-timers as well as temporary and seasonal workers. Remember, North Carolina strictly enforces its workers compensation laws. It’s a legal requirement, one that no party can waive, even in writing. As long as employers fit the bill discussed above, they can face serious legal troubles when they fail to get coverage. The same goes true for underinsured businesses. Underinsured means they carry the insurance, but the coverage itself isn’t enough. Employees can actually sue the people or organizations they work for in both situations. Even if they don’t, the North Carolina Industrial Commission can crack down on these employers. In fact, just a couple years ago, the government agency investigated some 2,000 cases of potential workers compensation insurance issues. This led to a whopping 800 employers brought into compliance. Unfortunately, 71 workers already got hurt during the time their employers didn’t have proper insurance. The penalties for employers without workers’ comp in NC range anywhere from $18,250 to $36,500 per year. They have to pay this up, whether workplace injuries happen or not. And that’s on top of what they’d possibly pay when an employee sues them. When considering filing a workers’ compensation claim, make sure you actually have a case. Again, the world of employment law is complex, so it’s best you work with a legal professional in such situations. Something to keep in mind though: workers’ comp doesn’t cover all injuries that take place in North Carolina workplaces. It does cover injuries resulting from accidents within an employee’s course and scope of employment. The term accident refers to any unexpected incident resulting in injuries. These include back injuries as long as the employee can prove a ‘specific traumatic’ accident happened that led to the injury. The Tar Heel State strives hard to protect both employees and employers. However, there are many cases wherein insurance companies deny valid workers comp claims. A common reason is due to delays in notifying the insurer or filing the claim. Some insurance providers also question whether the injury indeed resulted from a workplace accident. They also deny claims for injuries wherein the victim was an independent contractor. In any case, know that you can seek the help of the NC Industrial Commission for this matter. It’s your right to request a hearing. You can do so by submitting a completed Form 33 Request for Hearing. The agency then determines whether your injury falls under workers’ comp coverage. To streamline the entire process, you should consider hiring a lawyer specializing in such cases. Employers are also known for denying claims their employees made against them. Follow the same process of filing a Form 33. Note that you’d have to prove your claim to receive workers’ comp benefits, so it pays to have a lawyer by your side. What kind of evidence should you prepare? Your lawyer will help you gather any usable proof, such as testimony from your coworkers or colleagues. Your physician’s testimony can also help, together with documentation proving that your injury resulted from a workplace hazard or accident. It’s very important you file your injury by accident claim as soon as possible. 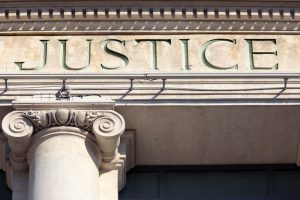 The statute of limitations in North Carolina indicate that victims should file within two years from the time of injury. If you suffered a workplace injury, make sure you file your Form 138 right away. Also, give your employer a copy of the form. Don’t forget to put in as much relevant information as you can in the form, describing what happened before, during, and after the accident. 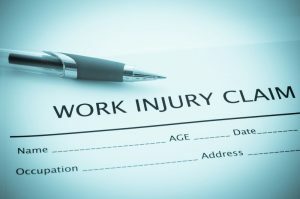 You should file your claim with the N.C. Industrial Commission even after informing your employer about your injury. Even if you’re on good terms, you can’t depend on your employer to help you throughout the case – considering that you’re suing them. It’s best you work with a workers’ compensation lawyer who’ll look after your best interests. Workplace injuries, whether minor or major in nature, can be devastating, even traumatic. Not only do they cause pain and suffering, but also lead to financial difficulties. It’s your employer’s duty to protect you from these, but it doesn’t mean they will. At the same time, not all claims are valid. To ensure your workers compensation lawsuit has a basis, it pays to consult a legal professional. And that’s where we come in. Contact us now. We’ll be more than happy to provide you with a free case evaluation to determine the validity of your claim.